There’s no denying the Mossberg 500 series’ quality. Debuting in the 1960’s, these shotguns quickly found themselves in the hands of law enforcement and military officials across the globe. As a tactical weapon, they are among the most trusted in the world – and rightfully so. 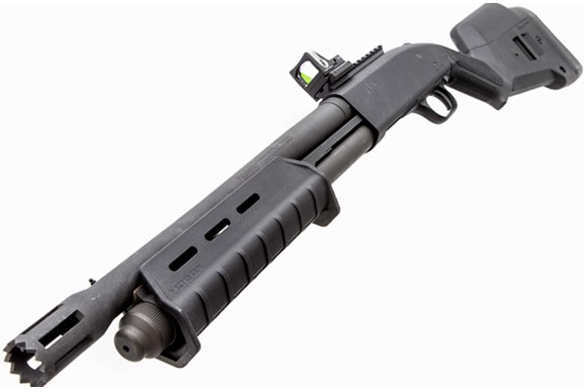 Mossberg recently unveiled their newest addition to the 500 line: the 590A1. I was a big fan of the 590, so I was intrigued by this update-evolution. The A1 kept many of the great components from the standard 590, but added several performance and handling boosters to create one of the finest shotguns in its class. The 590 in and of itself makes for a great home defense shotgun, as is detailed in our Mossberg 590 review. You’d expect a simple variant to be mostly similar to its predecessor, but that is not the case when it comes to the 590 and 590A1. Within seconds of handling the A1, it’s easy to tell that the new and improved variant is something special. Let’s take a closer look at the famous pump action Mossberg 590A1. Model: 590A1 – 7 Shot – Ghost Ring. 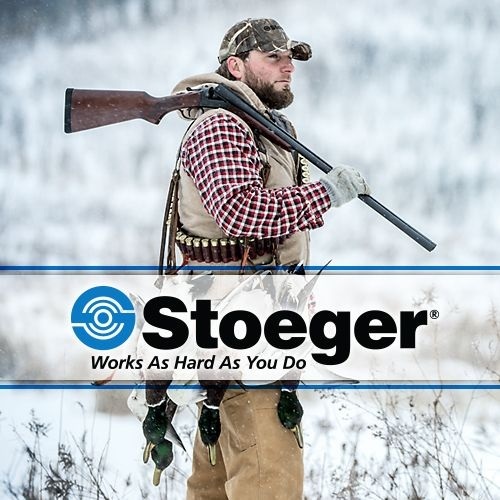 The Mossberg 590A1’s design is the culmination of over 50 years of shotgun engineering. The Mossberg 500, developed in the early 1960’s, served as the model for the 590, which the American company evolved even further until they achieved the A1 (check out our Mossberg 500 review if you have yet to do so). Since the A1 is built so similarly to the standard 590, we will only gloss over the overlap of their designs, and hopefully focus more on its standouts. One of the A1’s most important achievements is its MilSpec qualification. Through rigorous testing, the A1 passed the U.S. Military’s assessment allowing it to be used by our military personnel all around the world. Just to put this into perspective, the 590A1 is the only pump action shotgun ever to pass MilSpec 3443E. Like its predecessor, the A1 was engineered with a top of the line defense against wear and tear, but Mossberg went an extra step with these guys. These pump actions are outfitted with durable, parkerized polishes and treated with corrosion-resistant finishes. In addition to these endurance boosters, Mossberg also built the 590A1 with heavy-walled barrels and aluminum trigger guard and safety buttons. One of my favorite things about the 590 is how simple its takedown is, and thankfully, the A1 can be field-stripped with ease. I’m big on accessories, so I was naturally drawn to this Mossberg with a tactical tri-rail forend and a Picatinny top rail. More so, the A1 also has a 6-position adjustable stock and specialty sight packages. All of these sweet features give the 590A1 a custom feel without the custom price tag. You might think that with a shotgun that’s used for tactical purposes and not sport, sights would be pretty low on the list of importance. I don’t necessarily disagree, but having these options to work with is a definite plus. Without doing any modifications or investing in attachments, you have the option of either a front bead, ghost ring (love these), or 3-dot sight system. In order to make the 590A1 a premier tactical weapon, Mossberg offers them in your choice of a 14”, 18.5”, or 20” barrel. Additional tactical options include a heat shield, sling swivel, a Plus 4 shell Storage Stock, and a bayonet lug. We’ll discuss these possibilities more later on. I was already impressed with the way the 590 handled – my experience with the A1 was even better. For starters, the shorter barrel options are great for tactical shooting since they offer more control and concealment. Also, whether you choose the 7 shot or 9 shot, the Mossberg A1 can empty out rounds crazy fast. Being able to shoot and reload fast is key and the 590A1 does just that. The two most important features which contribute to its great performance are the 6-position adjustable FLEX stock and the available sight options. The adjustable stock isn’t just great for modifying its size for different shooters, but also works to change the form of the gun for different tactical situations. Furthermore, take your pick between the ghost ring, front bead, or 3-dot sights, and you’ve got seriously fast target acquisition. I highly recommend the ghost ring sight system because it is incredibly quick, easy to use, and versatile. The ultra-thin rear ring and thin front sight work cohesively to find the target without obscuring the shooter’s vision better than nearly any other aperture sight. Although the Mossberg 590A1 is one of finest tactical shotguns in its class, I recommend utilizing the rails and adding attachments. Before we get into the additional aftermarket options, I just want to reiterate that Mossberg offers a variety of stock, sight, and barrel options. With its tactical tri-rail on the forend and a Picatinny top rail, the 590A1 is just begging to be decked out. As a tactical home defense weapon, there are a few accessories which should be serious considerations, the two most important being a flashlight and laser sight. If you’re able to spend some money, I’d check out the SureFire X400V IRC White-Light/Infrared LED + Infrared Laser Weaponlight. This tactical flashlight is one of the best out there with a price tag that attests to that. However, if that’s out of your price range, then consider the LaserMax UNI-MAX-B for a more affordable alternative. A tactical flashlight might be the most important accessory for a shotgun and there are tons of great options. I highly recommend the OV-2 LED light. Although it can go for around $300, it’s a great light that is durable, effective, and comes with a whole package of related tools and equipment. Other aftermarket options to think about include the Plus 4 Shell Storage Stock, a sling swivel, and a side saddle/stock mounted shell carrier. Even within the 590A1 series of the Mossberg 500 line, there are several variants. One of the most unique alternate A1’s is the Mariner. As this name suggests, the Mariner was built to be the ideal self-defense weapon in saltwater environments. That being said, if you own a boat, yacht, or even live by the beach, you should really consider beefing up your security with one of these guys. Besides for home defense, the 7-shot pump action Mariner is also a great fishing and hunting companion. Be careful when buying a Mossberg 590A1 variant because some of them are not worth the extra money. I’ve heard that the Blackwater was designed just as a marketing tool, so try not to fall into their trap. On the other hand, the SPX might be something to look into; there are a few additional features on these which are pretty solid. The SPX has a ported barrel, a really cool fiber optic front sight, and speed feeding, which makes it a favorite among law enforcement agents. Because of its heavier barrel, the standard 590A1 can’t be outfitted with a heat shield, but Mossberg eventually produced a few variants which can handle it. 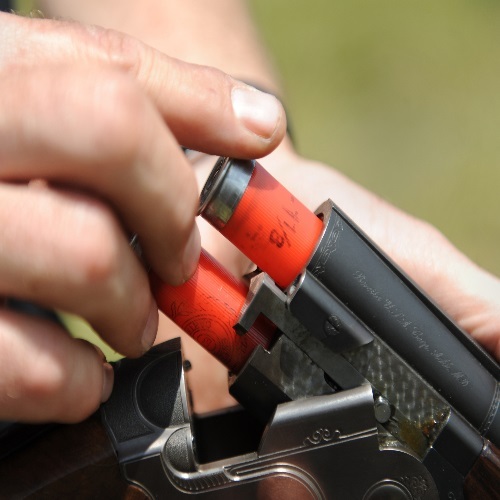 Although not a necessary component, a heatshield is a nice addition to your shotgun, especially if you do high volume shooting. Even less important is the bayonet lug –don’t waste your time and money on this gimmick. There are some restrictions on buying the 590A1 shotguns since some of them are designed for military and police use. Although many are sold through those channels, most standard 590A1s can be purchased by civilians. 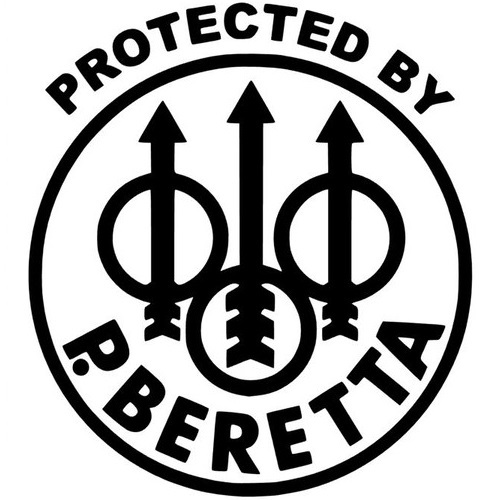 The most common restriction is on the 14” barrel A1, which is regulated by BATFE. No matter how you cut it, the Mossberg 590A1 is an all-around fantastic shotgun. The price is right, the quality is good, and it comes from a name you can trust. The 590A1 is a truly special firearm; the ability to customize so many aspects of it makes this $600 gun feel like you spent thousands. More Mossberg? Check out our Mossberg 88 review and Mossberg 464 rifle review here at Gunivore! Great review. I might add that in the specifications it lists ghost ring sights. While they are available, they’re not shown on the product image. They do not come as standard on every 590A1. Best review ever done on 590A1.